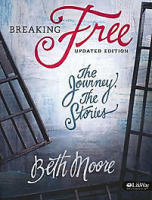 This Bible Study by Beth Moore was the first "homework" study I ever did and it changed my LIFE! Even though this is an 11 week study, take your time. Go through it at your own pace. I've worked through this workbook twice now over the past 7 years and it was different the second time through. I will more than likely do it again. This Bible study by Priscilla Shirer has opened my eyes to what the Armor of God really is. She starts with the Belt of Truth and it really is just what I needed in this ever-changing-PC-society that we find ourselves living in. With social media at us every day, we must know what the TRUTH is and I highly recommend this study!! Yes! 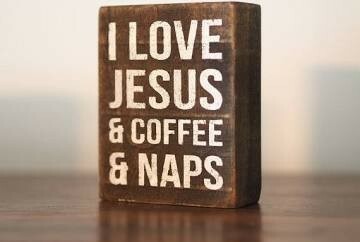 Jesus & Coffee & Naps Please! I haven't always made my time with God a priority. I have loved Him from an early age. I believed as a little girl and can remember the day I asked Jesus to forgive me for my sins and that I wanted to follow Him all the days of my life. I was only five years old. Such a tender age. I'm thankful He saved me and has been making and molding me from that day forward. We are all clay and He is the Potter. I love that picture. He is in control. We just have to yield to His hands and trust He knows best. After having my first child in 2004 I found myself floundering. I wasn't making time to be in the Word. I made excuses. I thought, "I already get up at 4:30 (to teach fitness classes). I can't get up earlier!!" and I also thought, "I'm a busy mom! It's better I'm with my kids than telling them to leave me alone so I can read the Bible." Well in the fall of 2008 I attended a Beth Moore live Bible study at Houston's First Baptist. Her studies are packed out and it's impossible to find a seat if you get there close to the start. Well, that night a kind lady asked if I was looking for a seat. I said yes! She walked me straight down to the front, only three rows from the stage! The night was life changing for me. I don't even remember what Beth taught about that night. All I remember is that she said, "Listen here young moms that are in the room!!" and then she looked right at ME and pointed right at ME and said, "You need to be in the WORD of God!!" I was like Whoa! Ok! I took that as a direct word from God and have carved out time each day since to be with Him, alone (with a cup of coffee!). Ok, not every day, because let's be honest I am human and still imperfect....but He is working on me daily! And I crave and love time in His Word! That's where he speaks to us, changes us, convicts us, teaches us and points us in the right direction! The first year into getting back to Bible study I did do it when the kids were playing nearby. I think it's awesome for them to see us making His Word a priority! We want them to grow up and do it too! But after that first year, I needed to be with Him alone. I decided I can get up earlier and so now I get up at 4 am and spend 30-40 minutes in the Word. I love it now. Crave it. And I've made it a non-negotiable. These studies to the right have shaped and challenged me. I hope you'll enjoy them too! God is so good! He will talk to you if you read, listen and pray. Many of these studies come with DVD sessions. I haven't participated in those. I just purchase the workbooks and work through them at my own pace. Some of Beth's can take me twice as long as she recommends. It's ok! Take your time. Soak it in. Read, learn and let God meet with you each day. Spending time with Jesus is the only way we will really ever become The Strong Woman that we want to be! This Bible study by Kelly Minter is refreshing and a great dive into 1, 2 and 3 John. You'll come away wanting to love others well because He first loved us. I really enjoy Kelly's humor, down-to-earth way that she writes, all while challenging you to walk close with God daily. 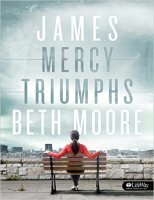 This Bible study by Beth Moore will change your life. In fact, I'd warn you not to do this study unless you're ready to submit and be challenged greatly!! It's always good! I just love Beth's way of teaching! 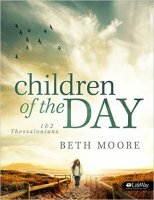 This Bible study by Beth Moore was on the study of 1st & 2nd Thessalonians. Again this was so good in firming up the TRUTH and that we can stand firm on the Word of God despite what the culture is taunting. We need to know what the Word teaches so we will not be so easily deceived and swayed by the world. This Bible study by Kelly Minter was so good. I wasn't as familiar with this story as I thought. And her insights are simple, wonderful and will help you grow in your knowledge and belief in God. The God of the old testament is the same God of today!